Hei offers a discount of 50% on their first / introductory lesson! Hi, my name is Jason I am a Manchester-based pianist. Hi, my name is Jason, I am currently a first-year postgraduate studying at the Royal Northern College of Music. I am a keen teacher, having completed the keyboard pedagogy course in the Royal Northern College of Music I am well equipped to teach beginner to advanced, children to adult piano students. I began learning piano at the age of 7 and took part in masterclasses with Margaret Fingerhut during school. Also during this period, I performed Haydn's Piano Concerto in D Major. I have passed ABRSM's LRSM exam. Since my undergraduate study in 2014, I have been a student of Colin Stone, currently Paul Janes and Helen Krizos. I recently took part in masterclasses with renowned pianists such as Andrei Diev, Jean-Efflam Bavouzet, Martin Roscoe, Stephen Hough, among others. 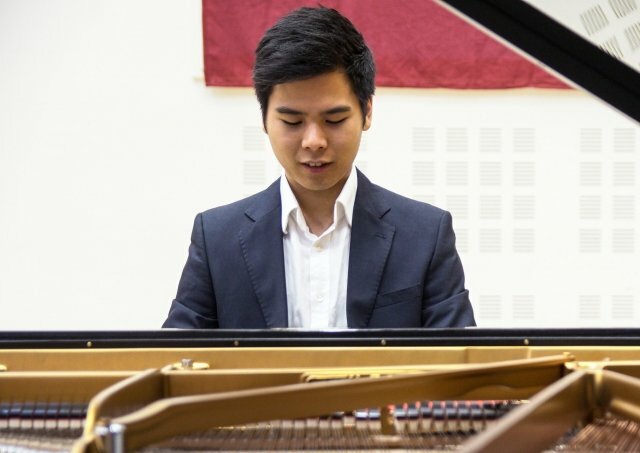 I have performed throughout Manchester and Leeds, most notably in Stoller Hall, Bridgewater Hall and RNCM Concert Hall (Tchaikovsky’s Piano Concerto No.1). I was recently a finalist of the RNCM Concerto Competition, playing Liebermann’s Piano Concerto No.1. I have given individual piano lessons to beginners in local primary schools and in RNCM as part of the Keyboard Pedagogy course. I was also involved in the International Young Musicians Academy working with young pianists who show promising future in the profession. Fun, engaging, informal and productive, good for casual learning or working towards graded exams. Flexible lesson times and can be arranged to teach at your house. Lessons with cover playing technique, musicality and music theory, tailor made for the level of the pupil.